Famous athletes endorse all kinds of things, from the common sport brands to some bizarre smile exercise machines from Japan. Games for consoles or mobile devices are one of them. While you might have heard of Tony Hawk’s Pro Skater (skateboarding) or Tiger Wood’s PGA Tour (golf), how often do you think a pro athlete endorses a game that has nothing to do with the sport they play? In this post we will look at 4 athletes who have endorsed games that have nothing to do with the sport they are famous for. 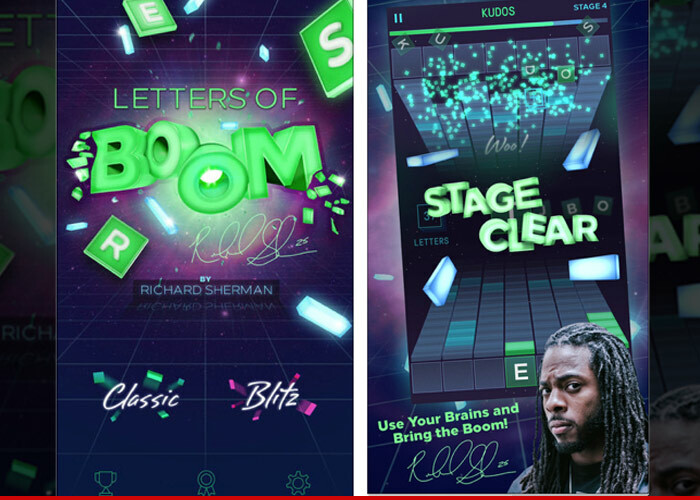 The latest superstar to release a video game with his name on it is NFL’s Richard Sherman. It has nothing to do with the NFL or a field of any kind. In Feb 2014 he won Super Bowl 48 with the Seattle Seahawks, while being part of a strong defensive line nicknamed the “Legion of Boom” where he recorded the most interceptions (8). Change that nickname up and, “Legion of Boom” becomes “Letters of Boom”, the name of the game. Here is the promo video for the game. “I’ve always loved word games, but there has never been anything out there that felt hard-hitting or extreme for me.” – Richard Sherman. The only relation it has with the NFL is the “updated dictionary” that includes American football terms like the “pick-six”. How this game will do in the App Store is still up for debate, but I’m sure the Sherman fans around the world will be downloading it. I’m a fan, but can’t because its only made for iPhones. That said I also have to say that I don’t have to download a game named “Letters of Boom” and have to explain that to my mum. While an NFL star releasing a word game may sound odd, where would you rank a basketball player fighting game on the weird scale? Shaq Fu came out when I was a kid on the Sega Genesis (remember those awesome cassette/cartridge consoles?). The back story of the game was quite ridiculous, it was a fighting game, but was fun to play. Think Street Fighter or Mortal Kombat. And now, there will be a Shaq Fu 2 coming out soon, funded by an Indigogo funding project. And it still has nothing to do with basketball. What is up with basketball players endorsing games that aren’t related to the sport they play? Maybe it’s not the basketball player’s fault. Maybe it was the year – 1994. That’s when all three of these basketball athletes released their games! Note: All three were made by three different game studios. 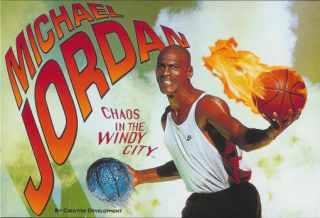 The legend himself, Michael Jordan, had a game with him in it. 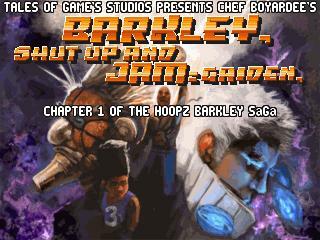 He didn’t shoot hoops, instead he threw different types of basketballs to kill enemies in this platformer game made by Electronic Arts. Electronic Arts. The same EA who make FIFA 2015, Need for Speed Rivals, and Madden NFL 2014. Here are 4 and I’m sure there are more. If you can think of any, leave a comment and we’ll add to the list! Now which way will Virat Kohli or any other Indian athlete go… with a relevant sports game? Or will we they be added to this list too? Let’s wait and see.